After China put a technical hold on Azhar listing for the fourth time, the three key members of P-5 of the UNSC asked Beijing to come up with specific reasons for the hold in two weeks. Islamabad/New Delhi: Pakistan has asked its all-weather ally China to continue vetoing the proposal by other permanent members of the United Nations Security Council (UNSC) to list Jaish-e-Mohammed (JeM) honcho Masood Azhar as a global terrorist. 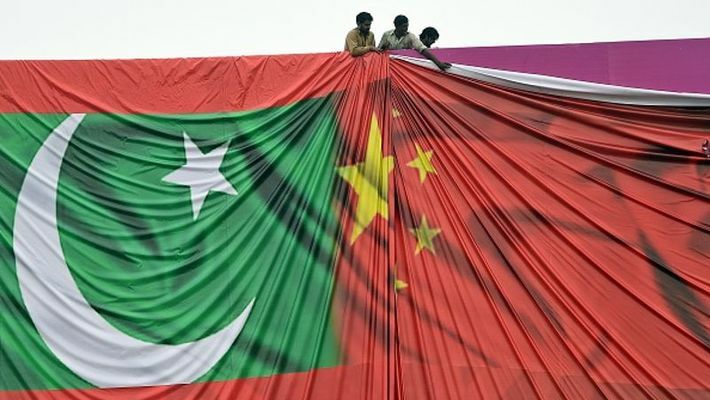 Islamabad has, in effect, told Beijing it is in the interest of both Pakistan and China that the issue of Azhar is used to arm-twist India into agreeing for talks on Kashmir and de-escalation along the LoC and the international border. It is this week that China has to give a specific reason for its technical hold after which the US will exercise other options, including discussing the matter in the open UN General Assembly, a move that could embarrass China. China is understood to have conveyed Pakistan's preconditions to the US but the Trump administration was not impressed and was told that the listing of Azhar and the resumption of the India-Pakistan bilateral dialogue are not linked in any way, claimed Indian and US diplomats based in New York. Although India has left it to its key allies to get Azhar listed, the US is peeved with China’s effort on behalf of Pakistan, the diplomats said. Pakistan is trying to convince the 10 non-permanent members of the UNSC, all of whom were in favour of the listing of Azhar, that India’s military posture is related to the forthcoming general elections in the world’s largest democracy. Masood Azhar’s JeM has taken responsibility for the February 14 Pulwama terror strike in Kashmir that left 40 Indian troopers dead. In the meantime, the US has slammed China for its double standards in dealing with Muslims. In a strong statement, secretary of state Mike Pompeo has said that, on the one hand, China persecutes its Muslims citizens in the Xinjiang province and, on the other, protects terrorists like Masood Azhar from UN sanctions.